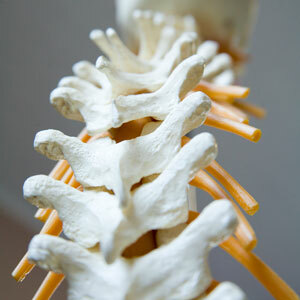 Chiropractic is an art, science and philosophy based on the idea of helping your nervous system work at optimal levels. Our existence starts off traumatically with the birthing process, which is often the first experience that can cause subluxations or nervous system interference. Every subsequent fall, stress or injury builds up, much like the layers of an onion. Our aim is to remove these layers, freeing up your nervous system so that you can express your full potential for health. When your body functions better, your overall health will improve. Please be assured that before beginning, we’ll walk you through the process of starting chiropractic care. We understand that the unknown may seem scary and make every effort to make sure you’re comfortable and well-informed. When you begin care at our office, you’ll enter an initial, intensive phase of care. We’ll focus on the problem at hand, helping you regain the part of your life that you’ve lost due to the issues you’re experiencing. Our goals are focused on you, whether you want to get back to playing with your kids, return to an active lifestyle or simply be free from the effects of stress. Once you’ve achieved your initial goals, you’re welcome to begin maintenance care, during which time we’ll help maintain the progress you’ve made. Contact us today to find out what we can do for you! Emergency cases are welcome.